Mainboard-listed property Heeton Holdings unveils iLiv@Grange, its latest 20,325 sqft freehold residential development, expected to receive TOP by October 2013, setting a new benchmark for the luxury Residential market. 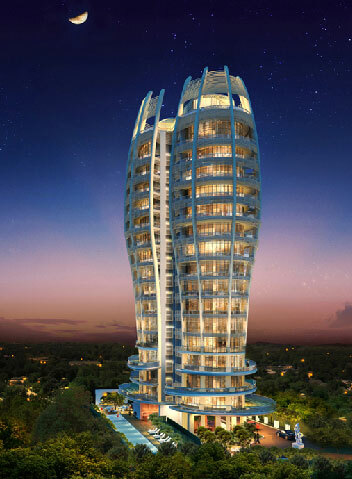 Drawing inspiration from the calla lily this 16-storey development boasts a curvaceous façade that with luxurious facilities and lush landscaping that will at once have a “striking impression and appeal to the high-end crowd”. iLiv@Grange is the creation of international lifestyle design firm Mercurio Design Lab (MDL) while the landscaping and apartment interiors are designed by yoo inspired by Starck, the brainchild of Philippe Starck and John Hitchcox, who are respectively, the world’s most celebrated designer and the world’s most visionary property entrepreneur. Back in the boom days of 2007, former wet market operator Heeton purchased the former Grange Court site at approximately $1,706 per sq ft per plot ratio excluding development charges, and will begin construction soon. This luxury condo deveopment is slated to sell for more than $3000 psf with prices ranging from $4mil to $10 mil. 2 double-storey penthouse at approximately 3,300 sq ft and 3,500 sq ft, each comes with three bedrooms, a private pool and roof terrace. Each apartment has its private lift.